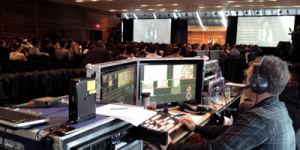 Live Media corporate videos capture your message in stunning HD quality video and audio. Expanded service options such as teleprompter, makeup artist, etc. Need more information on corporate video? Click here. Not what you’re looking for? Try Live Media Webinar or Webcasting Services. Professional Corporate Video at Affordable Prices.